It’s that time of year again, we’re SAILING FOR A CURE! As most of you know by now, I have been a passionate fundraiser for the Leukemia & Lymphoma Society through participation in The Leukemia Cup Regatta for many years. Last year through great friends like you we raised over $30,000 toward the New Orleans regatta total of over $4000,000, making our regatta the 3rd biggest fundraiser in the entire country (50 regattas nationwide). THANK YOU FOR YOUR GENEROSITY! The real winners are Leukemia & Lymphoma patients across the country. I hope you will join me again in fighting this battle. The mission of The Leukemia & Lymphoma Society is to find cures for leukemia, lymphoma, Hodgkin's disease and myeloma, and improve the quality of life of patients and their families. • Since 1949 the survival rate for many blood cancer patients has doubled, tripled, and in some cases quadrupled. • Forty years ago 1 in 10 myeloma patients survived. Today, that number has more than tripled. We are making a difference. For that I, and many patients around the country, thank you. 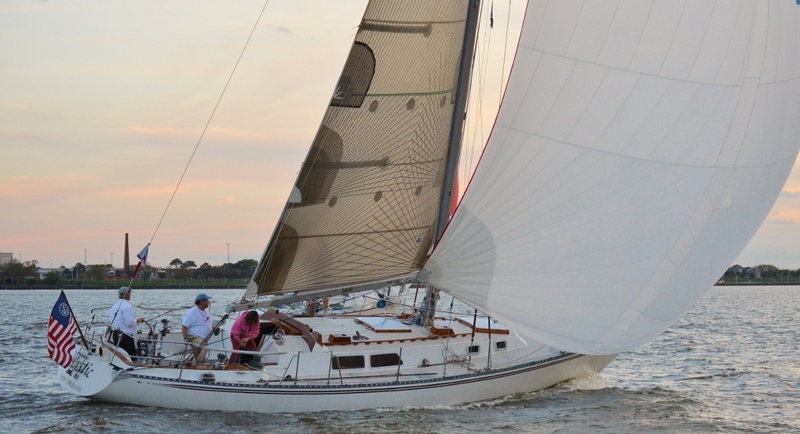 Once again this year we will be racing our boat Mystic competing for the Leukemia Cup Trophy. If you would like to sail with us, join in! No experience necessary, just be ready for some fun. Thanks in advance for your continued generosity. Good luck on the fundraising Guy!! Good luck on the donation raise! We are proud of your continued work for this cause! thank you for your continued efforts ! i am donating in memory of my first cousin who died of Lymphoma and my dear friend who has leukemia . We are so grateful for all that LLS has done and continues to do! Thanks for the great work, Guy!